There are 101 reasons that corsets (and corset waist training) provide benefits, including solace, according to Lucy Williams in her new book Solaced: 101 uplifting narratives about corsets, well-being, and hope. In reading the amazing stories, I learned about quite a number of benefits of corseting that I did not know about. We’ve heard recently a lot about using corsets to waist train and lose weight; pictured here is Melinda, an early student in our coaching program . She lost 13 lbs and 3″ off her waistline after three months. Another benefit is that corsets can diminish distraction and increase focus. That’s important to some of us who also live in, and sometimes rue, a world that a New York Times writer called “the end of reflection” (Sunday, June 12, 2016, Styles section). But there’s another benefit of corseting — and that has to do with reflection, and experimentation. I also think corsets also have to do with teaching, and requiring patience, a virtue that is well nigh lost in today’s IT world. After all, you can’t just point the corset at your body and it flies around your waist and locks into place much like Iron Man’s red metal uniform does. You have to work at learning to lace a corset on, and lace properly for comfort and endurance in waist training, not to mention that you have to learn to slow down to season your corset, prepare for waist training, take care of your corset after you wear it, and more. These are all benefits of corseting — if you define “benefit” that way. And perhaps, there’s the rub. But let’s say that we still believe there is some merit to introspection and deep thinking, at least from time to time. What do we face? – Greater access to knowledge is not the same as greater knowledge. – An ever-increasing plethora of facts & data is not the same as wisdom. – Breadth of knowledge is not the same as depth of knowledge. – Multitasking is not the same as complexity. Most of us use our iPhones more than we think. In one study participants estimated an average of 37 uses in a day, but the actual number was around 85! That’s stunning to me. About ten years ago I noted a rise in impatience. I noted it in email inquiries and in orders. If my business has been criticized to my knowledge, it has been so because of timing. My webperson and I still chuckle that we met in November of 2003 shortly after I published the first complete version of my book, Corset Magic. She was pretty upset when the book didn’t download immediately as it does if you purchase thru amazon.com, and she let me know about her pique in no uncertain terms! I had to tactfully explain that I hand-process orders at my office location, it can take up to five days or more, to receive the ebook link, and (to this day since 1999) I employ no secretary or office assistant. It simply takes time to do business with ROMANTASY, as she quickly understood. We ended up great friends, and she’s my main web adviser today, some 12 years later! Of course, I try hard to make it worth a client’s while to have some patience, by offering personal assistance, pre-education, real design options (we are not a one-click corset shop), attentive followup, and individual review of all orders. That’s something you can’t get at Walmart or Macys; call ROMANTASY and you’ll get — me, and it’s been that way since I closed my retail shop in 1999. If you expect a corset to appear like most expect a book, or a website to appear–in 2/5 of a second or less then we move on (per what engineers at Google found in 2012)–then you won’t enjoy corsetry or waist training. That’s especially true if you choose a corset business that has a sole owner who is hands-on. We are not the only ones with a “low tech-high touch” approach to corsets. To this day some 25 or more years later, a world-class corsetier, Jerone van der Klis of Bizaare Corsetry in Amsterdam, does not employ corsetiers in his atalier; he does all his own corset design and construction work by hand. In fact, he told me not long ago that he no longer announces an expected production time. He only guarantees delivery for special occasions like a wedding. So what does wearing a corset do, that counters our expectations of instantaneous gratification and diminishes our angst if we don’t have constant new notifications and alerts and downloads? What does it benefit us to waist train — if we still see any benefit in contemplation, meandering thoughts, day dreaming, and not jumping to conclusions and moving on? Lucy’s book tells the story of several corset enthusiasts who like Temple Grandin, the famed autistic animal expert, enjoy the squeeze of a corset. It calms them down and helps them focus. It reduces their anxiety. I think wearing corsets and waist training also encourages one (1) to experiment, (2) to keep an open mind, and (3) to understand the fact that corset waist training is highly individualistic. When my present waist-training coaching program student Ms. T, encountered some right-rib tenderness from time to time when she got to the point of lacing down from a 27″ waist to 25.5″ (over the corset, or 24.5″ under the corset), she initially asked me for a solution. We discussed several, but what I overall advised her to do was to experiment to find what worked best for her, within the general principle of moving toward longer and longer hours of corset wear, no matter the level of waist restriction. She did just that and is now about to conclude her last two weeks of training. She’s moving into longer hours of daily wear varying between 25.25 and 25.5″ as that level for 6 to 10 hrs turns out to be tolerable. This is not an inefficient approach to corseting, even if it is not an instantaneous solution to some problem you may encounter in waist training. It is, however, required as an approach to effectiveness. You need to remain open to solutions and adventurous and inquisitive in your approach. “Know it alls” don’t work in waist training either; you have to be willing to seek advice and asked what has worked for others, so that you have options to test out on your end of training. Perhaps that is the best use of social media conversations, chats, searches, and posts that last 2/5 of a second, or 140 characters, or perhaps a bit more. Your online friends might just quickly provide myriad ideas of what has worked for them, so that you can sort thru the ideas to see what fits for you, and then experiment gently. But as the NYT writer said, in general, deep thinkers “need time and don’t fidget.” So too, do waist trainees need time to devote to corseting and need to stay the course and not fidget too soon and off the program to try something new. Don’t lose this ability to take your time, and don’t ignore the above observations, as you enter into and pursue waist training. The choice is yours to make: MAKE IT HARD–OR MAKE IT WORK! Medically-sponsored bulemia and The Fall of the Roman U.S. Empire? So immediately opined two of my friends today when I tweeted and Facebooked about the new FDA approved medical device, the AspireAssist, a device that takes food right form the stomach — into the toilet. For real. Courtesy of a study at the Washington University in St. Louis and 111 study subjects who tested the device. Apparently one of the male study participants loves the device because he can still go out ‘with the boys’ and indulge in a huge rib eye steak. Apparently about 500 people world-wide are exploring this new trend. Enough said. Will the craziness never end in this country? And some celebrity doctors enjoying enormous public trust and impact, those like Dr. Oz, rail against safe and sane custom corset waist training? And call “a waist training disaster” the fact that you might need two breaths to blow out 20 birthday candles when you are snugly laced down in your corset? This was the case for one young person appearing on Dr. Oz’s April TV show. Perhaps Dr. Oz would like to interview the owner of Aspire Bariatrics, the promoter and funding organization for the new medically-sponsored bulemia device, and promote it as a proper obesity approach compared to corsets? Careers are built on certain recommendations, such as bariatric surgery — or even corsets! The same argument could be applied to any business, including ROMANTASY. That argument tends to minimize the importance of the information or product that is commercially promoted and sold. But is that necessarily so? What is necessary is that the consumer do a bit more research on their own behalf so that they do not pass by the perfect business — for them! Consumers need to determine the long-term reputation and quality of information or product offered for sale–and not fall back on simplistic and unjustified non-thinking. Nor should consumers rely on the BBB or Yelp or other reviews where top positive ones are moved to the top when the business pays, and pays, and pays for the reviews, or when they appear canned and written by shills as found on some review websites. Others of us who strive to be reputable for many continuous, long years in business and who make a living by coaching and educating about corset waist training, and who provide good quality custom training corsets at a fair price, promote that approach and that kind of work and results—but not at the expense of other effective alternatives that we don’t provide, alternatives that also correct and address obesity with all its attendant health risks. While I might point out the undeniable difficulty and expense in pursuing bariatric surgery to shrink the waistline, I have never said that surgery is not one effective alternative to reduce one’s waistline and weight, especially for those at the upper end of obesity, and I point to the amazing results that this surgery alleviates diabetes entirely. That’s a highly beneficial result and one that I cannot claim results from corset waist training (‘tho I suspect it could also be true). Yet I have read about or seen on TV time and again, surgeons who have information about the effectiveness of corset waist training, yet who ignore custom corsetry as another effective — and fun — method of controlling the waistline. They focus on extreme cases of unhealthy folks to begin with. One plastic surgeon focused on oxegynation of food for effective metabolism, and raised the specter of failure of that process just by the corset restricting somewhat the breath! How did she address or explain the years and years when corsets were safely and sanely (vs. going too far too fast in lacing down) worn by all manner of women from various classes and backgrounds such as during Victorian times? She failed to mention it. Worse yet, a number of doctors affirmatively diss corsetry and focus solely on rare cases where corsets may be harmful. To my view point that insults the intelligence of the audience. Do they truly believe that audience members are so stupid that we don’t know that if we have hypertension, or stomach upset, or serious breathing problems such as asthma, we SHOULD NOT corset? And how is it that corset-negative doctors seem to forget that corsets are actually recommended by some of their colleagues for low blood pressure, to support the back after injury, and to correct scoliosis and alleviate pain? You can read about a number of other medical conditions that are beneficially addressed and treated by corsets in Lucy Williams great book, Solaced, We highly recommend the book if you are curious about corsets, or are already a dedicated corset enthusiast and want to read real stories from real people who have benefited from wearing corsets. Of those doctors who have dissed corsets, not one has tried wearing a corset, or at least none have been publicized as doing so. That’s often the case with reporters who often also focus on the negative aspects of corsetry. That’s why I applaud ABC-TV’s reporter Deborah Roberts, for pursuing a personal two-week trial of our Waist Training Coaching Program when she came to interview me in late 2012 for the 20/20 program. Sure, that’s not close to the three-month trial that we recommend, but it was more than nothing. Furthermore, Ms. Roberts’ experience revealed a few of the immediate delights (a notable shrinking waistline wearing a truly gorgeous training corset) and a challenges (awkwardness getting in a car, hip pressure from lacing too tightly at first) that anyone attempting a fuller progran of waist training may expect to encounter. Ms. roberts followed our advice, loosened up her corset and continued with her experiement to the end. She used the common sense that we promote as one key to waist-training success. However, the production manager decided to label corset waist training as an “extreme beauty” technique! Yet Ms. Roberts’ wrote a favorable review of her experiment and put her reputation on the line to try a corset. The program title and theme was not revealed to me in advance of airing in Oct. 2012, despite my three email requests for it. I should have known something was up! Naturally, I was very disappointed to see the final program title when it was announced. But going to the extreme is a risk for anyone who wants to speak up on popular media and for entertainment TV. Remember that many TV shows are just that: entertainment. They are not to be taken seriously for content or critical information. They can provide a beneficial lead to experts who may then be contacted for further information, or you can visit their websites and do your own research. In that manner you may come to your own conclusion as to whether or not the business is truly experienced, moderate in advice, and doesn’t over-sell their product or the results. You need to know if that business is “commercially viable” and will follow thru on their promises and orders that you pay your hard earned money for. We strive to make ROMANTASY among those kinds of businesses, and we have done so for over 26 years in the corsetry business! Ran across the below information on smoking that seems particularly appropriate for waist trainees. The primary reason we recommend corset waist training is to improve your health for the long run, and the secondary reason, is to shrink your waistline and maintain it below 35″ for women and 40″ for men. Those are the measurements that signify increased risk to your health, and over those stats, it signifies the expansion of deep organ-covering visceral fat—the dangerous kind. Of course, our size and weight is not lockstep connected to health; being somewhere in the middle is a nice goal for most of us. But no matter, there are some practicalities that you may have to accommodate to or surmount if you try fashionable and fun custom corsetry as a method for figure training. One is breathing– which becomes limited the more you lace down. It’s the same when you get hay fever attacks, allergies, or colds, or during pregnancy. While you might not want to run a marathon while tightly corseted, if you are not sick and not smoking, you can readily accommodate breathing to fill the upper register of your lungs when you can’t do deep belly breathing. With practice you can bike, hike, jog, play golf, walk and more when corseted moderately, but usually at a slower, less vigorous pace. 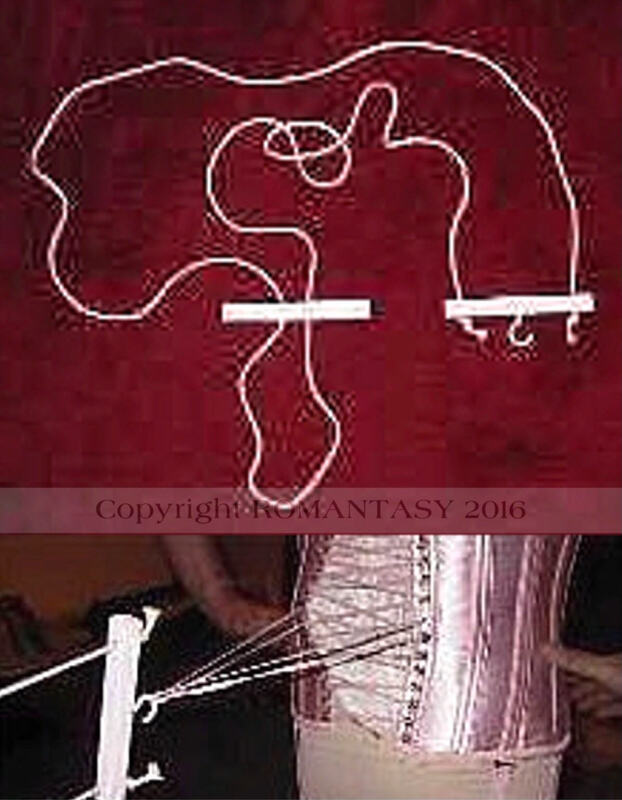 Ms. T., my present waist-training student, loves to go dancing (swing, I believe it is) when corseted from a 27″ waist down to 25.5″ (24.5″ under her corset). Still, a number of my European bike friends can ride 20 to 30 miles while corseted, and have no trouble completing that circuit. But what if you smoke? You are taking a dangerous step to then try to waist train and keep up that smoking practice. You’re already restricting your breathing with the corset. I just returned from visiting a friend in SoCal, a Type One diabetic and a practical nurse who, after stopping for 10 yrs, took up smoking again. She reaches for a ciggie every few minutes now, because she’s under stress and in the throws of packing up her four bedroom house to move down the street and downsize. I helped her for a few days as much as I could until I had to return home, in large part because my eyes started closing down and smarting from the smoke in her house and household contents. It happened even although she stepped outside or into her bedroom behind closed doors to smoke. Smoking now constantly distracts her attention as well as fills her lungs with poison. Almost incomprehensible, considering how knowledgeable she is about health—apparently for others, but not for herself. Making change is tough, especially concerning physically addictive habits. I know. I quit alcohol, smoking, and recently, added refined sugar. Seems there is always something that comes along that I need to quit! Sometimes participating in a coach-sponsored short-term experiment such as our three-month corset training program can provide you with enough support and accountability to break a habit you might be ready to break. One of my students a few years ago, came home from a busy profession and had at least two drinks each night during the week in order to unwind (she said). This was before she began training in her corset. She was able to cut back to one drink every other night or less, during the three months. 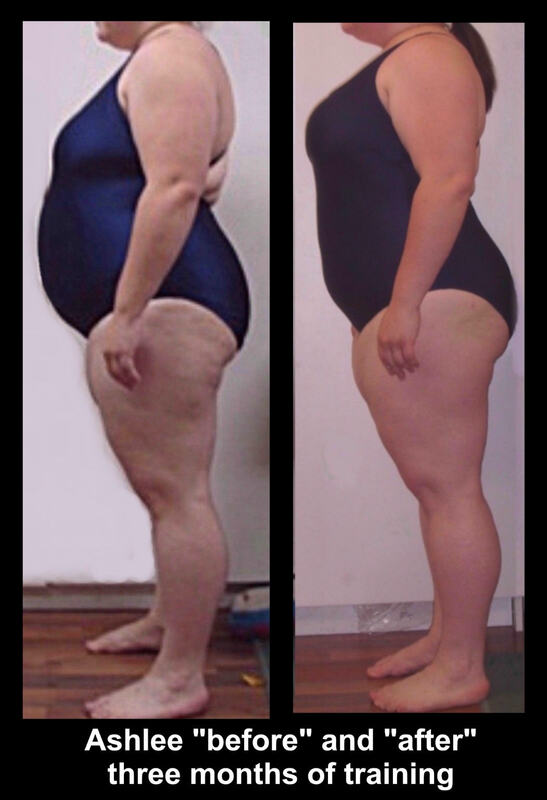 Her Maintenance Plan implemented after the three months, included the element of limited alcohol intake, so that she could maintain the figure-shaping benefits she experienced during training. I hope this has been true for her, although she is wont to respond to any of our followup contacts and questionnaires. I truly hope and expect that that’s not bad news. Once we break a habit, it’s critical to not look back, and to maintain a support system to keep us on track. Sure, we can fall off any wagon, but we have to get right back up. It may take time to get the bad substance totally out of our tissues and feel really good again, but we have to persist long enough for that to happen. That’s one of the things that gives me the most pleasure in my work: helping my students take a step they decide they want to take to improve their heath, but they just needed a little support and discipline on a daily basis to do so. How do you change habits when you know you want to, or must? Please don’t let a serious and/or life-threatening health scare have to be your motivating push. I hope I can help! “I think one of the main reasons it’s so hard to quit smoking is because all the benefits of quitting and all the dangers of continuing seem very far away. Well, here’s a little timeline about some of the more immediate effects of quitting smoking and how that will affect your body RIGHT NOW. * In 20 minutes your blood pressure will drop back down to normal. * In 8 hours the carbon monoxide (a toxic gas) levels in your blood stream will drop by half, and oxygen levels will return to normal. * In 48 hours your chance of having a heart attack will have decreased. All nicotine will have left your body. Your sense of taste and smell will return to a normal level. * In 72 hours your bronchial tubes will relax, and your energy levels will increase. * In 2 weeks your circulation will increase, and it will continue to improve for the next 10 weeks. * In three to nine months coughs, wheezing and breathing problems will dissipate as your lung capacity improves by 10%. * In 1 year your risk of having a heart attack will have dropped by half. * In 5 years your risk of having a stroke returns to that of a non-smoker. * In 10 years your risk of lung cancer will have returned to that of a non-smoker. * In 15 years your risk of heart attack will have returned to that of a non-smoker. Sometimes technical things get in the way of beginning to waist train, especially if you are new to corsetry. Don’t worry: ROMANTASY has “the LACISSTANT” to rescue you and make your job easy! Place the loop on one end of the device over a closet door handle, push up the white bar to secure the device against the door handle, then stretch out the cord. Next, place the ends of both waist pulls of your corset over the hook on the other end of the Lacisstant. Note that the waist pulls must be even. Then step forward to take up the slack of the cord as the client did, pictured in the bottom image. The Lacisstant frees up both hands to reach around back and tighten each crisscross of the lacing cords, one by one. As you lace tighter, the lacing cords become slack. Simply lean forward a bit, gently jiggle your feet a few more inches forward, and continue the process. When you reach your desired level of tightness, remove the waist pulls from the hook of the device and tie a bow at your waist in back. It’s easy to lace up a corset, and useful until you get the “hang” of it. once you do, you can use “feel” to find each criss-cross lacing cord in back and pull up from the bottom and down from the top toward the waistline, creating excess lacing cord at the waist pulls at your waist. Why start from the bottom? Because you want to lift your body, not push it downward. Once you repeat this lacing process several times using either our Lacisstant ($12 with corset purchase, or $15 without plus $5. shipping) or just the “feel,” tie a secure bow at your waistline, and even out the excess cording. Once you are an old hand at this, you can don your corset in a matter of minutes and be out of the door! EXPERIMENTING – ONE CONCEPT LEADING TO SUCCESSFUL WAIST TRAINING! I just came across the advice in a book published in 1988, to experiment in working out what is relevant in nutrition for you as a unique individual. 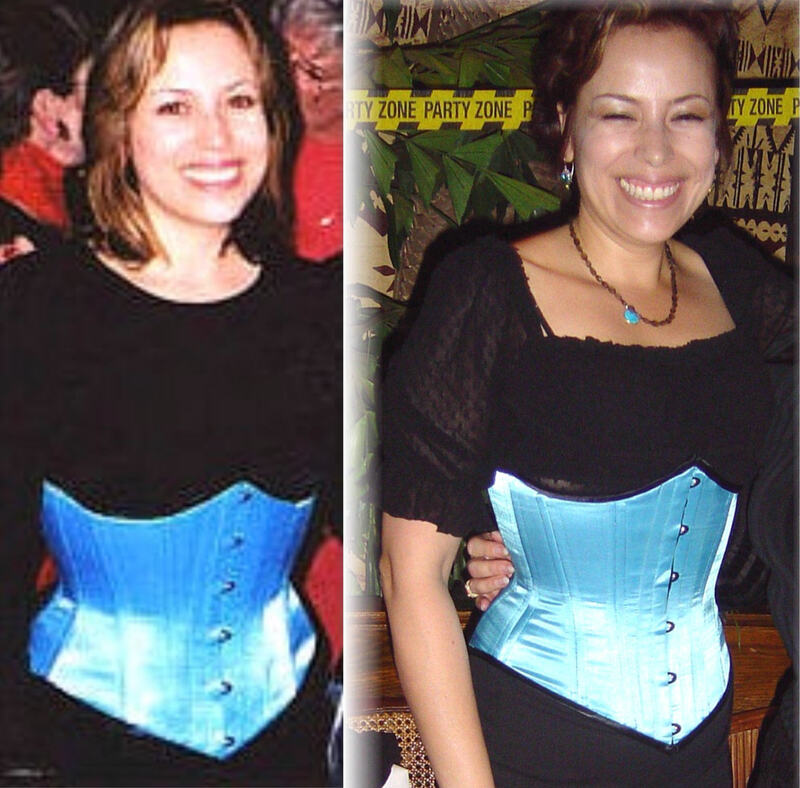 Experimenting is something I recommend more than once in my new book-in-progress on corset waist training, as well as in my original book Corset Magic first published in 2003 and updated thru 2015. I am reminded of my experience in physical therapy and in my falls prevention aerobics class which I’ve proudly attended regularly twice weekly since May, 2015! I’ve attended physical therapy about 8 times in my life for various physical problems from back spasms to knee bursitis to biceps tendonitis. On almost every such occasion of multiple visits to address the problem, I’ve learned that some experimentation is involved each week in order to find that delicate point of doing just enough to push the muscles enough to strengthen, but not injure, them. Some weeks I’ve gone too far and experienced set backs and soreness, and then I back off. If no negative fallout occurs after a session, then I know I’m on the right track and can keep gently and consistently moving forward in what my therapist/trainer and I ask of myself. Not only do we need to refer to qualified experts in the medical field when we are injured, be they doctors or physical therapists, but we need to self-monitor and self-protect as well. When it comes to physical therapists and personal trainers, I’ve noted that sometimes they do not know precisely what will result from their recommendation for that week or that exercise session. They have general knowledge and expertise, but they don’t know me. Likewise, I can’t know everyone of my clients or book or blog readers. My hope regarding information I provide in how to pursue waist training and figure-shaping, is that it will in the main be helpful as a guideline for your personal adventure in seeking better health overall and a svelte figure. Yet I know that my information will not be a perfect fit for everyone. Anyone’s advice is just that: a guideline. The best we can do for ourselves in reaching various goals in life, as well as in waist training, is to seek guidance from those who have extensive research and personal experience with their topic, people whose advice makes sense to us, who don’t overstate the potential results, and who encourage us in proper ways to protect ourselves and yet step beyond any self-imposed limits, then learn from our experiences. That’s what I hope ROMANTASY stands for, as well as our approach to corset waist training. LOVE THE NEW WORD — “ACCOUNTABILIBUDDY”! Same as our emphasis on getting a “Waist-Training Buddy”! Today on Good Morning America (ABC TV news show) I saw interviewed the two chaps from the November Project (TM): “is a FREE fitness movement that was born in Boston as a way to stay in shape during cold New England months”. There’s a book out since April explaining the concept. From the short blurb this morning, I heard the word “accountability buddy” — the same concept of our Waist-Training Buddy. I watched a few of the exercises you can do for free around your city but a good number seem a bit vigorous; it’s clear you must be in great shape to do a lot of them, so be careful! For some of us just getting back into exercising, it will require first building up strength, balance, and of course, flexibility. If you have creaky knees, limited range of motion, shoulder impingement or other, you’ll have to self- monitor and not push yourself quite as hard as others may be able to do in this program, or other exercise programs you join. Even yoga as I discovered six months ago! I just can’t twist my left knee out of alignment with my leg, or it tweaks from a prior case of bursitis. No yoga teacher can be expected to know your personal weaknesses, so you have to step into his or her role and protect yourself. I just completed writing my chapter in my new book in progress, Corset Waist Training: A Primer on Easy, Fun and Fashionable Waist Reduction, on exercise. (There’s still a few free copies of this book! Just send us email for yours: inquiry@romantasy.com). I make the point that what I suggest as warm up, cool down, back strengthening, or waist targeted exercises, have to be tailored to fit your needs. But just because you can’t get down to the floor, doesn’t mean you can’t do some standing waist-targeted exercising every day or every other day, to help tighten the oblique muscles and shrink your waistline! Back to “Accountabilibuddy”…in the maintenance chapter of my primer book, I address the imperative of setting up a support system to maintain the waistline you work so hard to achieve during a three-month waist-training program, or longer. I have not seen any of my students maintain substantial progress they make, (one losing 5″ waistline inches and another losing 6.5” waistline inches) without some kind of real-time or online support. Pictured here is Ashely who achieved remarkable posture improvement from her exercises during her coaching program, altho she only lost 9 lbs. Weight is not the issue; it’s posture and waistline measurements that count for more and are more related to health in the long run as well as a sense of well-being. A support system can include occasional or regular email with a health-conscious and supportive friend, wearing your corset out to show off once a week, corseting at home or stealthing to work every other day, following a corset-related or health related social media group online, joining a gym or other program to work on corset strength (aka “core strength”), and attending to clean eating and not too much of that and joining with others to maintain that discipline. It takes some discipline, but not much overall. The discipline was enduring when you got thru your initial program. If you have done that and reached some or all of your initial goals, pat yourself on the back! Aside from a support group to help you maintain your success, continue to self-congratulate as you deserve it, and more! Admire yourself in the mirror, bask in the notations of your friends in how tiny your waist looks (and smile sweetly and mysteriously if you are stealthing that day! ), and stick to your maintenance plan. Don’t give up and don’t backslide — but if you do, make a quick re-calibration and move back down. Don’t let it get out of hand — or out of corset as some do!!! Most of my students have maintained their original loss or added on only a few pounds or half=inch or two, and you can do that, too! I’m here to support you, or you can enroll in my One Month Tune Up Plan if you need my support. Good luck, and go for accountability and support!